A great opportunity to live across the street from the beach in a first class community!! A wonderful first floor unit with electric hurricane shutters!! Extra storage unit, 1 car garage, screened in lanai with gas grill, and more! Neutral color tile located throughout the main living areas. Gourmet kitchen open to the great room with a gas fireplace and beautiful mantle. Double ovens, granite countertops, wine chiller and French door refrigerator make this kitchen stand out! Expansive owner's suite with lanai access and complete with double sinks, large tub, and separate shower. Walk across to the Atlantic Ocean to enjoy a stroll on the beach or possibly take a swim in the pool at the private Serenata Beach Club. (membership not included). This is a ''lifestyle'' at a reasonable price!Your monthly maintenance fee takes care of almost everything for you except electricity and your insurance on the inside. 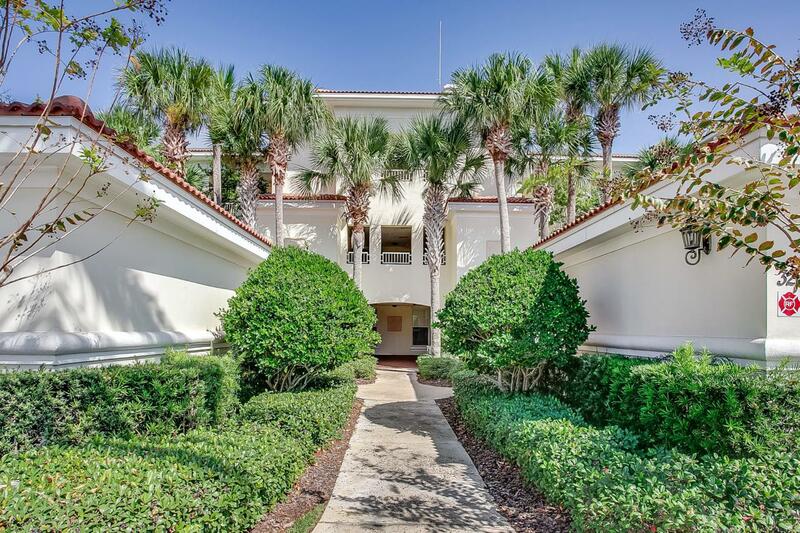 Association fee covers, water, gas, satellite TV, high speed internet access, waste disposal, roads, landscaping, building insurance, gated community, tennis courts, cabana, maintenance of tunnel that runs under A1A to the beach and Club. Two full time maintenance personnel on site 5 days a week. These buildings are extremely well built, concrete block all three stories. Known locally as the "fortress", no flooding or damage during any storms! Come live the lifestyle that you have worked so hard for all these years! !